Chances are you’re at least vaguely familiar with this schoolyard chant. For many people, it amounts to their only knowledge of Lizzie Borden, alleged cold-blooded axe-murderer of 1890s Massachusetts fame. If you’re one of those people, you’re forgiven (and in good company with many of us in the NoveList office). After all, 126 years have passed, murder headlines are shocking only in their inability to shock, children’s rhymes have gotten even more sordid, and old Lizzie’s tale has acquired the flavor of urban myth. For the uninitiated, here’s a very quick breakdown: on August 4th 1892, the bodies of 69-year-old Andrew Borden and his second wife, Abby, were discovered in their Fall River home, in separate rooms, gruesomely bludgeoned to death with an instrument that authorities concluded was probably an axe or a hatchet. Andrew’s adult daughter Lizzie, who also lived in the Borden home and was found at the scene by neighbors, was accused and later acquitted of the murders of her father and step-mother. 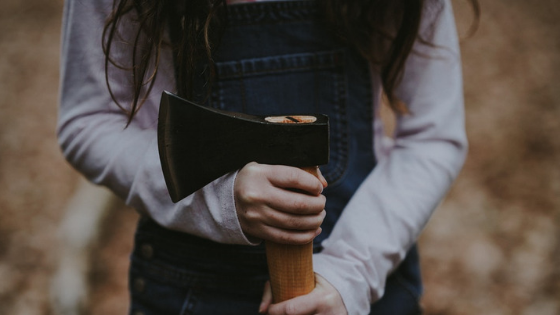 Naturally, many people were not at all convinced of her innocence, and Lizzie never shook her reputation as an axe-swinging maniac. Readers who want the facts of the Borden case will want The Borden Murders: Lizzie Borden and the Trial of the Century by Sarah Miller, a gripping true-crime narrative that employs a clear, evenhanded telling of events as they’re known. Those who are most fascinated by the psychological aspects of the story will enjoy the fictional The Secrets of Lizzie Borden by Brandy Purdy, or See What I Have Done by Sarah Schmidt. While each of these novels uses its own device in exploring Lizzie’s inner turmoil (the former in the form of Lizzie’s diary entries, the latter through a revolving cast of narrators), they both provide an intimate view into the mentality -- read: mental breakdown -- of a woman suffocated by 19th century mores, and driven over the edge by abusive and aloof family members. Much has been made in entertainment news about the movie’s speculative exploration of Lizzie’s sexuality by depicting a lesbian love affair with the real-life character of the Borden’s housemaid, Bridget Sullivan. Actually, the LBGTQIA angle has been picked up by several fictional accounts, the first of which was probably the lurid 1980s novel Lizzie by Evan Hunter (aka Ed McBain), an imaginative take on Victorian sexual repression with plenty of period atmospherics. More recently, the YA novel Lizzie by Dawn Ius is a modern retelling of the Borden tale that also highlights themes of homosexuality, along with mental illness and a seriously unreliable narrator. Or, for something in a more fantastical vein, try Cherie Priest’s Borden Dispatches series, which casts an older, wiser Lizzie as an intrepid axe-wielding heroine pitted against Lovecraftian monsters in a horror setting. Lest we forget the real true-crime voyeurs out there whose appetites were merely whetted and are prowling the stacks for more mad murderesses, we suggest The Mammoth Book of Women who Kill (Richard Glyn Jones ed.) for adults, and the slightly lighter, illustrated Bad Girls: Sirens, Jezebels, Murderesses, Thieves, & Other Female Villains by Jane Yolen and Rebecca Guay-Mitchell for teens. And yes, Lizzie Borden makes an appearance in both. Lastly, some readers will be attracted to the fun who-done-it aspect of the Borden story, and they will be looking for murder mysteries in a late 19th century setting. 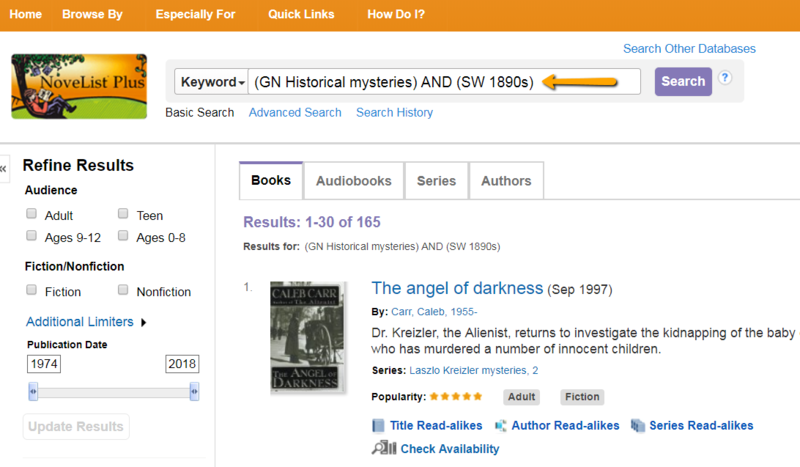 Just copy the string (GN Historical mysteries) AND (SW 1890s) into the NoveList search window to find plenty. Always helpful for a themed display.